In today’s economic and social environment, nonprofits are facing daunting challenges, as well as unprecedented opportunities, to innovate and serve. The key to the board’s success in leading, shaping and supporting the organization is effective board leadership. An effective working relationship between the board and staff is absolutely essential. Join BVU for a small, hands-on workshop that will address the role of board leaders in guiding and shaping a board to advance the organization to achieve its full potential. This seminar is specifically targeted to nonprofit board officers, committee chairs and chief executives. 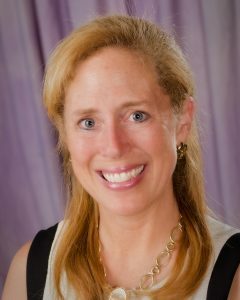 Since 1993, Elizabeth has provided consulting, training and executive coaching services to hundreds of nonprofits. Her work focuses on strengthening the governance and management of nonprofit organizations, facilitating mergers and strategic plans. She provides governance and board leadership training to over 450 individuals annually and oversees BVU’s Nonprofit Consulting Center. She serves on the Board of the Akron Zoological Park. She has a Bachelor of Arts in History from Trinity College in Hartford, Connecticut and a Master of Arts in History from Kent State University.